The Lava Hot Springs Foundation hosts several events each year. Events dates and times are subject to change. 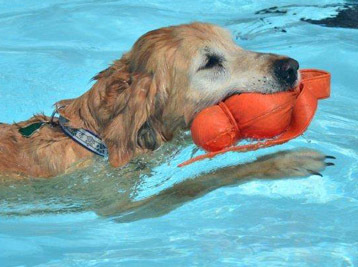 Saturday, September 7, 2019 - 11:00am - 3:00pm - Open Swim for Dogs! $10/per dog at the gate. Humans get in free, humans are not allowed in the pool. Lava Hot Springs Foundation invites dogs and dog-lovers to Lava Hot Springs! Our goal is to maximize the joy that (somehow) accompanies wet dog smell and a totally exhausted pooch at the end of the day! Fun for the whole family! Contests for chances to win cool prizes and watch your best friend swim. 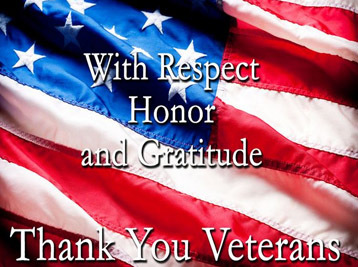 The Lava Hot Springs Foundation would like to thank all those who have served our country for our freedom. Veterans get FREE admission all day on November 11th to both the World Famous Hot Springs at 430 E. Main from 9:00am - 10:00pm or the Indoor Aquatic Center at 195 N. Center from Noon - 8:00pm. 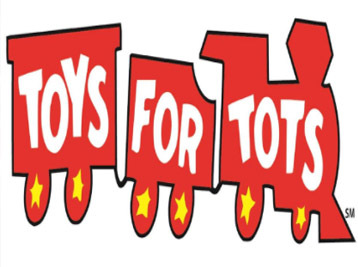 The Lava Hot Springs Foundation is proud to help with the Toys for Tots Drive every year! We will have 2 drop off locations to drop off New, Unwrapped toys; World Famous Hot Springs and Olympic Swimming Complex! Bring a new, unwrapped toy to donate to the US Marine Corps Reserves’ Toy for Tots program (suggested value $10) and get free admission to the Indoor Aquatic Center 195 N. Center, Lava Hot Springs, Idaho (valid on date only; not valid at Hot Pools). You may also choose to bring two (2) cans of food for the Food Bank instead. *General admission fees apply if a toy or food is not donated. 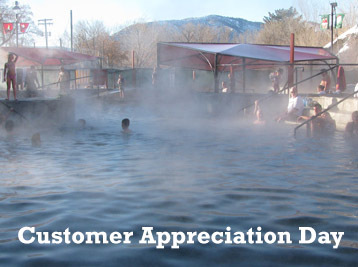 Lava Hot Springs Foundation wants to say a big thank you to their customers with free admission to the Lava Hot Springs Hot Pools all day, Wednesday, December 11, 2019. Relax, get a bite to eat, or spend the night after your soak! Visit our Gift Shop to see new merchandise for Christmas. 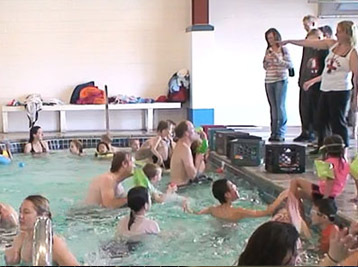 A children’s Water Carnival will be held during Lava Hot Springs Fire & Ice Winter Festival on Saturday at the Lava Hot Springs’ Indoor Aquatic Center. 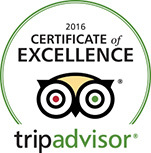 Admission for all ages. There will be games, prizes, and water fun. Events will be oriented towards a 12 and under crowd but all ages are welcome. Events include floatie relays, wall climb races, diving contests, and a splash event. View the Flyer. See Open Swim hours. Anyone who wants to use the diving platforms at the Olympic Swimming Complex must sign our waiver prior to use. You must be at least seven (7) years of age to use the platforms. Those under 18 years of age must have parent or court-appointed guardian sign our waiver, too.